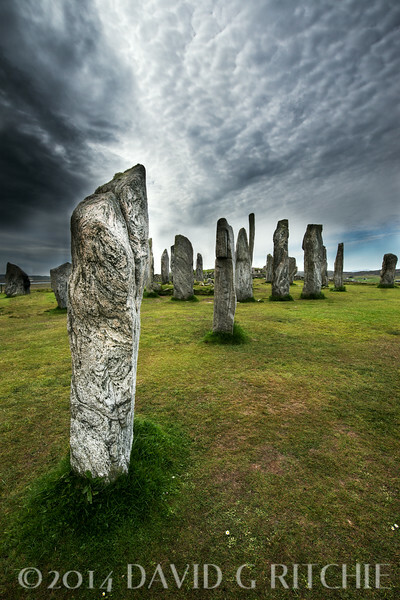 Located on the Isle of Lewis, some 16 miles west of Stornoway. Construction took place between 2900 and 2600 B.C. The stones are each about 12 feet tall and are positioned to represent the Celtic Cross. Fortunately the clouds arrived during my shoot to add a rather ominous mood to this historic site.